Fuji & the Best Trail Mix Ever! And the second category is where my husband and I fall, fools. I always tend to agree with that statement while I’m on the mountain but there’s something about Fuji that draws me back again and again. Insanity? Regardless, we’re planning on heading to Fuji again this weekend for a final hike this summer. This will make a total of four summits for me and eight for my husband. Consider us certifiably insane at this point! This will be my first attempt at a night-time climb which is the most preferred way to hike Fuji for the Japanese. It’s slightly cooler without the sun shining down on you but the humidity will still be high. The top will be freezing (thank goodness for my lightweight down jacket!) as we wait for sunrise. This hike requires the climber to better prepared than a day hike. Fingers crossed that despite the crazy weather Fuji has experienced this summer, we get to see a gorgeous sunrise. I don’t think I can handle two summits this year in horrible conditions. To reach the top of this 3776m beast, we need some good energy. 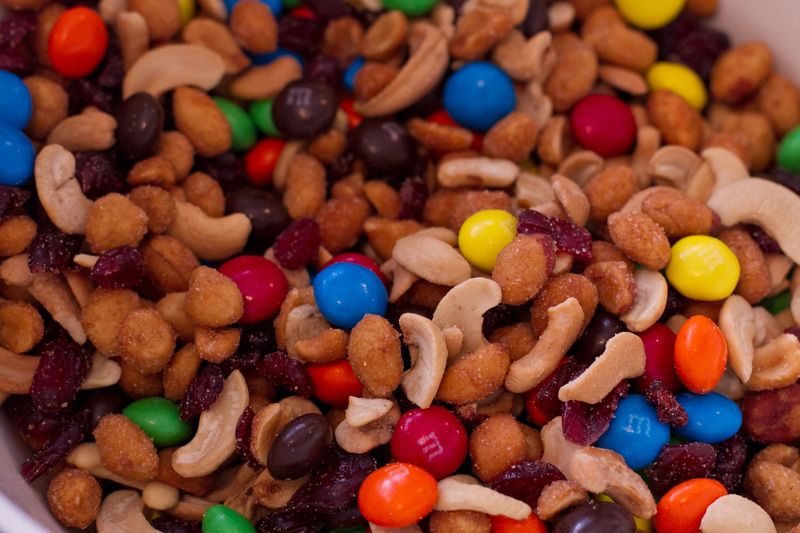 And the solution to that problem is my husband’s trail mix…aka, the best trail mix ever! It’s not gourmet in any way (and actually includes M&Ms which we usually try not to eat) but when you’re exerting that much energy, quick handfuls to keep the energy up is needed. It’s salty and sweet with the perfect mix of quick and sustained energy. 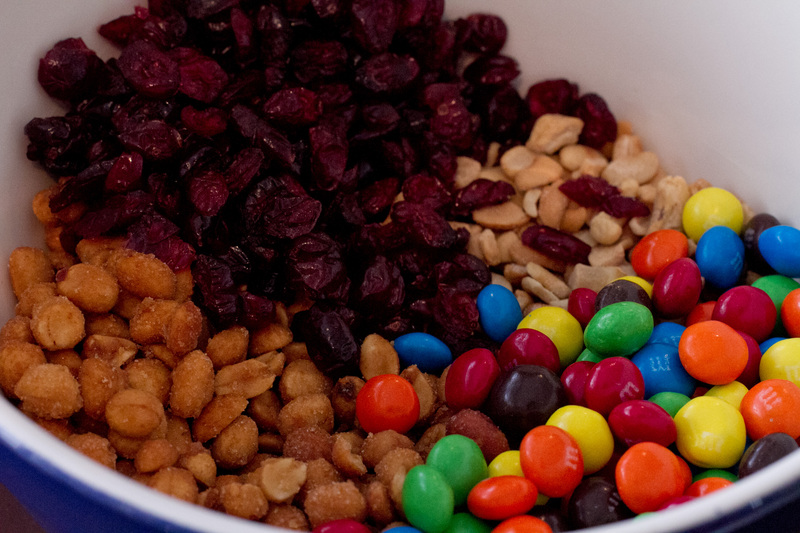 This trail mix comes together insanely fast and seems to disappear as quickly. Hope you enjoy! 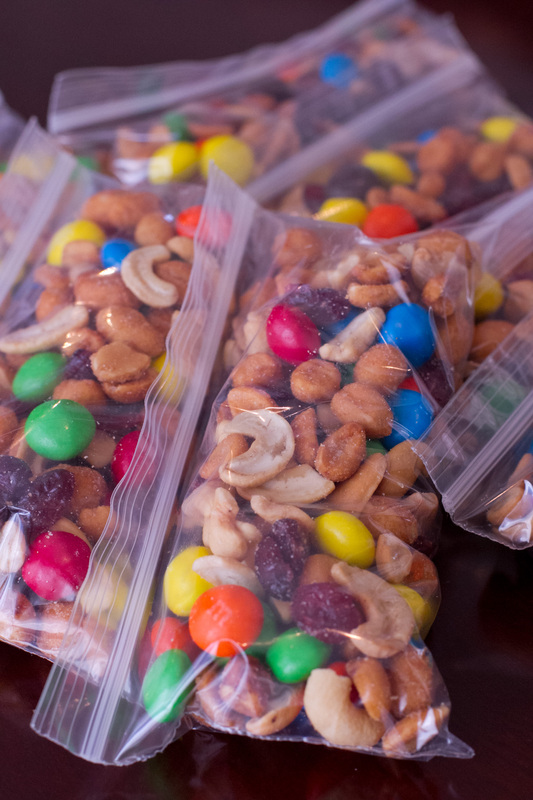 Dump in a bowl, mix and then package into ziplock bags for easy access on the trail. Seriously, it was that easy! Packed up and ready to go! Fuji…here we come! !